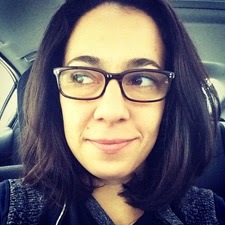 Blog and Tweet Boston is a neat group that I came across recently. According to the Facebook page, it's a "network of Boston social media personalities" with the bonus of monthly events. Through this group, I was given the opportunity to attend a complimentary Saturday afternoon class at Pure Barre Boston. I love trying out new exercises and studios and I'll never turn down a free class. I walked in and immediately spotted Jess from Little Miss Runshine, which was exciting. Little known fact, I was her pledge mama back in college. We are both G-A-M-M-A Phi Beta girls. We'd recently reconnected over social media and I was excited to see her for the first time since I graduated in 2006 (ew, I feel old). Soon after I spotted my (in real life friend, as I like to call it) Erica who blogs over at Boston Rookie. Lauren, the owner, started it off and explained a little bit about what to expect. She let us know that she would be in the class, helping our instructor Fiona, to make adjustments as needed. I know that some people dislike hands-on adjustments but it's something that I always welcome. As someone who has a history of knee problems, I know that poor form can do a lot of damage in a workout, so I appreciate the instructor taking the time to make sure that I'm not putting myself at risk. I've done many, many Core Fusion classes at Exhale, so I did have a good idea of what to expect from Pure Barre. We utilized light weights (I went for 2lbs, but there were other options), a suspension strap (though, I'm not even sure that's the right word for it?) and a ball that looked like a mini version of what we use to play kickball. Fiona led a really dynamic and energetic class that hurt so good both during and after. This is a workout that focuses on small, controlled movements. You wouldn't think that moving your legs up and down an inch would burn so much, but it does. Ohh, it does. I can say with certainty that no muscles were left untouched in this workout. Bottom line: If you're looking for a challenging workout in a supportive environment, then you should give this a try. It's not a huge calorie burn (I burned about 300 calories in an hour) but you will absolutely walk out of class feeling as though you've gotten a great workout. Huge thanks to Jen at Boston Bachelorette and Kerrie at Urban Foodie Finds for organizing the class. 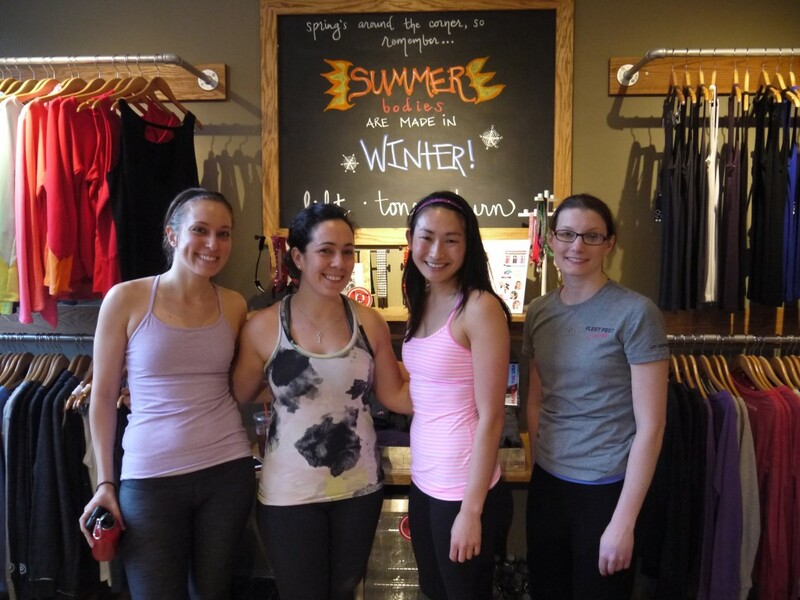 And of course a huge thanks to Pure Barre Boston for opening their doors to us on Saturday morning. I will definitely be back soon to try out some more classes!